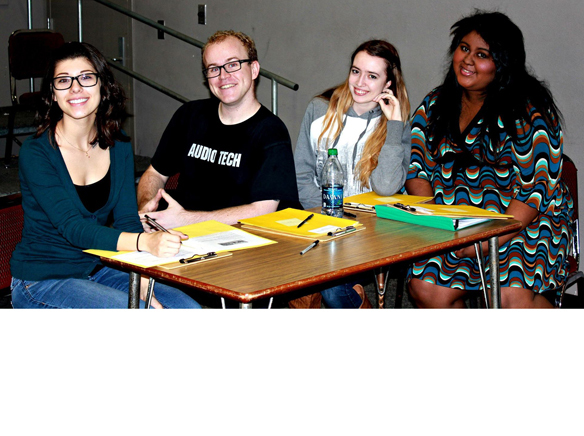 Vocal energy, emotional energy, and poise—qualities that Grossmont College theatre student, Jillian Jones, 20, said qualities as she was looking for as a student judge in DramaFest 2015 participants on Jan. 31. 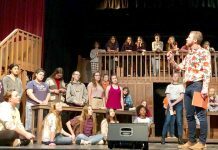 Beth Duggan, Theatre Arts Department chair and professor who helped to organize the event said participants from eight high schools from all over the county had students register for this over 10 years in the running theater program. Approximately 86 students registered thru their high schools to work on skills needed to be a working theater thespian. 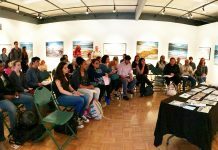 Grossmont College partnered with the San Diego Educational Theatre Association to have these students present and get critiqued on monologues, imagery, dialects, and other acting skills in this daylong program. Part of that building of confidence was having students do mock auditions and Jones said she had heard prepared monologues that included the classics from “The Importance of Being Earnest” to more modern monologues from Meghan Margarita. Also critiqued was the “physicalization” as they called it or use of space, body language, interpretation of character. Plus projection, articulation and how convincing they were in the role were judged. Duggan also pointed out the brag board or bulletin board for former Grossmont College students with one success being Yvette Angulo who was cast recently in the La Jolla Playhouse’s “The Grift” staged at the Lafayette Hotel in San Diego. 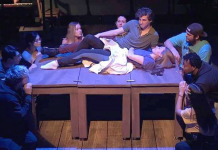 And Grossmont College’s annual DramaFest gave many high school students the opportunity to do just that—fall in love with all aspects of theatrical performances. More than 1,000 students have benefited from Grossmont College’s DramaFest over the past decade.